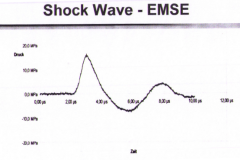 Spark WavesTM are especially effective shock waves that are generated by means of a spark discharge. 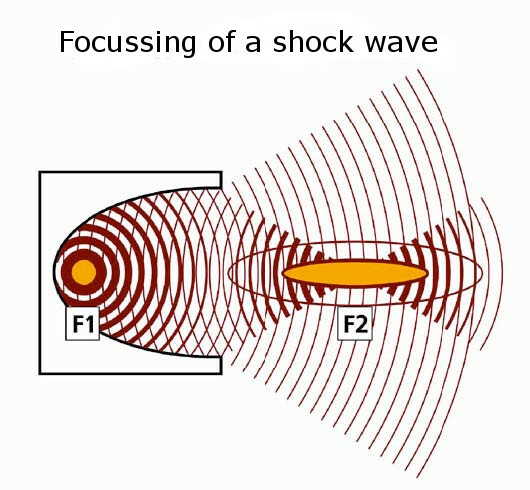 In physical terms Spark WavesTM are acoustic waves with a brief rise time of a few nanoseconds (10-9s), which are characterized by a pulse of positive pressure followed by a phase of negative pressure. 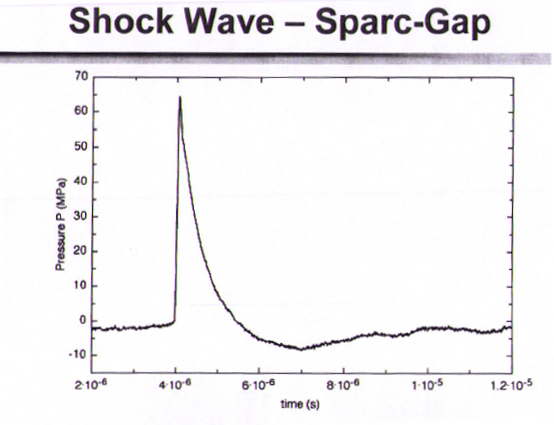 The shorter the rise time and the lower the tensile pressure the higher is the quality of the Spark WaveTM and the more reliable the Spark WaveTM stimulates valuable regeneration and healing mechanism on cellular level. According to Rompe (1997) “[A]coustic energy is defined not only by the positive pressure, but also by the negative pressure. The decisive parameter for adverse effects is the negative pressure. It is responsible for pain and tissue damage by cavitation”. MTS has eliminated the tensile pressure of the SparkWave because of it’s negative biological consequences, and in turn generating Spark WavesTM of highest therapeutical efficacy with little side effect potential. 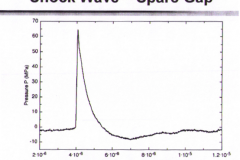 Spark WavesTM are created by means of a high-energy electrical discharge in water. The voltage is discharged between the opposing (plus and minus pole) tips of an electrode. 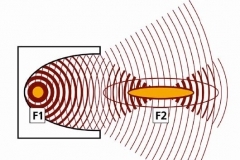 The so-called arcing or “Spark Gap” causes a leveling out of voltage between the two tips of the electrode throughout which a hot plasma bubble is created. This bubble explodes to all sides, compresses the surrounding water and generates a pressure >10MPa within only a few nanoseconds (10 -9 sec). 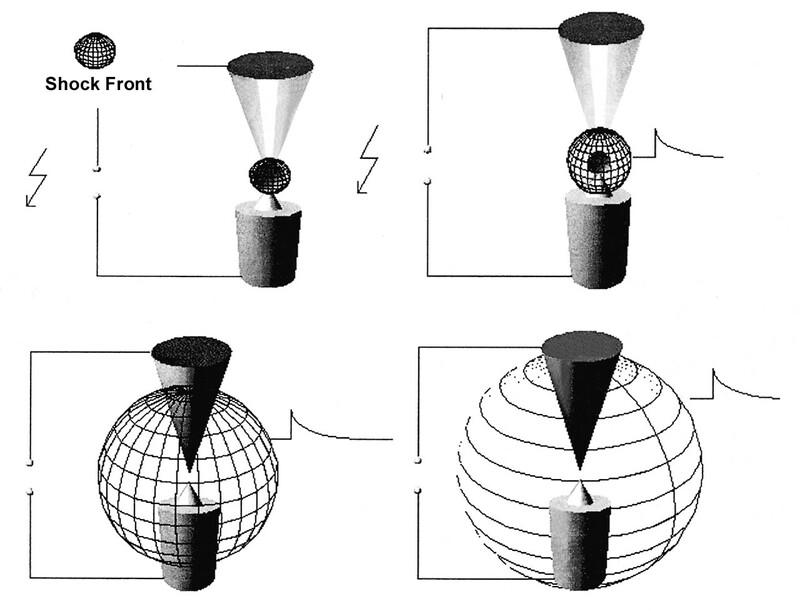 The released Spark WaveTM energy is focused to various degrees by means of different reflector types. 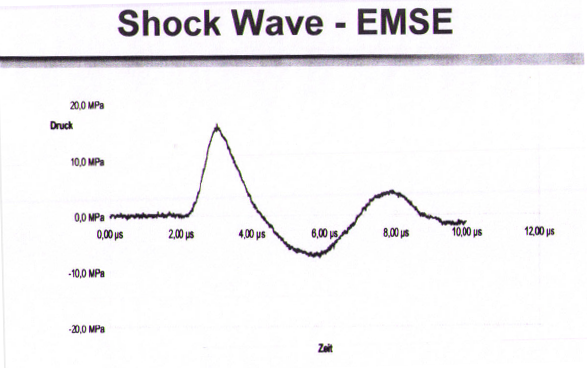 The more the Spark WaveTM energy is focused, the deeper its healing effects can be induced into the treatment area of the tissue. Depending on the indication range that shall be treated, MTS Spark WaveTM medical devices are equipped with a focused, soft-focused and / or unfocused reflector. MTS has redefined the spark gap technology and provided it with unique performance characteristics. The patented Advanced Spark WaveTM Technology (ASWT) eliminates the tensile pressure of the Spark WavesTM, in turn generating Spark WavesTM of highest therapeutical efficacy with little side effect potential. 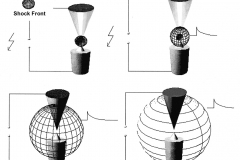 The especially developed SmarTrode electrode facilitates a unique dynamic range and combines the advantages of low energy Spark WaveTM generation with those of high energy spark wave generation. It automatically adjusts itself to the set level of output power guaranteeing an optimized, constant Spark WaveTM energy.